It can be installed in various locations without the need to drill or ground, It will pick up AM and FM Radio stations. Best mounted close to a window (facing the sky), this antenna requires a 12v feed on the black trace wire to power the internal active booster. Retro Car? Don’t Want to Drill Holes? Use our hidden active antenna to get a AM/FM reception in your motor without ruining the look of your pride and joy. The ANT-UVHIDE or HPA-1 Hidden Antenna is a small black box that can be mounted almost anywhere and once powered with 12v will be the ideal replacement for your original antenna.Supplied with Double Sided Tape along one side for easy installation onto a windscreen or side glass. The HPA-1 Hidden Antenna is designed to mount inside your vehicle when you are not using a traditional wing mount antenna. Place the main body of the HPA-1 as high in the dash as possible. Avoid placing it near any high-current wiring. Ground the main body of the HPA-1 to a clean metal point close to the HPA-1 body via the small braided cable with eyelet. 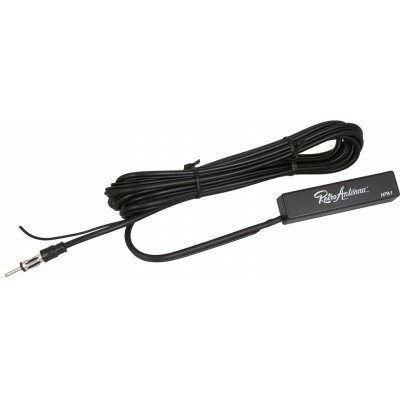 Route the antenna cable with the thin black power wire to your radio location. 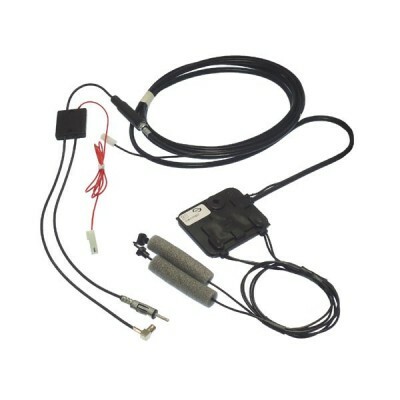 Connect the thin black wire to a 12-volt ignition source or the blue power antenna output wire of your RetroSound® radio. Connect the male antenna plug into the female antenna receptacle of your radio. 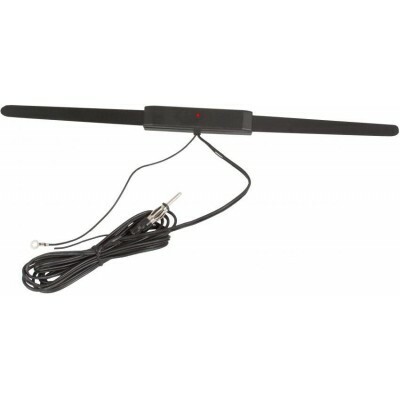 The RetroSound WPA1 amplified AM/FM window antenna is a great solution for anyone who doesn’t want to install a standard fender-mount antenna. The WPA1 installs in seconds using a standard antenna plug and your radio’s power antenna wire. This antenna uses magnetic field circuitry for enhanced radio reception. It can be installed almost anywhere thanks to the supplied 105-inch antenna lead and power wire.